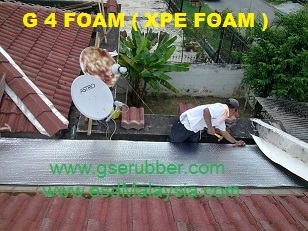 Combination of XPE ( Cross linked poly-ethylene ) Foam Laminated with Aluminum Foil on top and bottom layer . ​1) Lower Energy Costs - Reduce electricity usage , like air-con. ​2) Improved Home Comfort - Insulation is particularly effective at improving your homes room temperatures. ​​3) Reduces Carbon Emissions- Recent research shows that thermal insulation could help reduce carbon emissions and save up to 350 million tonnes in waste by 2010. This is because insulation reduces the amount of wasted energy in your home. ​Thermal insulation simply reduces the transfer of heat through building structures or envelopes. Thermal insulation not only reduces energy use and therefore CO2 emissions , but, in addition, the right insulation products also provide thermal comfort, acoustic insulation and fire protection. ​4) Prevents Condensation Build-up - Condensation can be a huge problem within some homes and home insulation can be used to resolve the problem. This is because it helps control airflow and stops the build-up of moisture in the air. 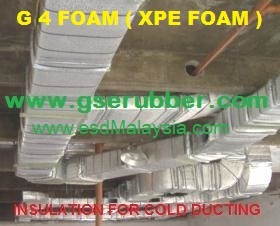 ​Why XPE Insulation foam for industrial use turn to home roof insulation ? ​An innovative idea , effectiveness and characteristic of eco-friendly material composition . A new revolution for BETTER cost , energy saving ( lower air-con consumption ) and " greener " house target . ​Upgrading your insulation can be a great way to reduce energy costs and make your home a more comfortable living environment. ​​You probably don't think about insulation very much. It's that stuff between your walls and under your roof: out of sight, out of mind. However, if you understand how insulation works and the differences between insulating materials, you can make your house greener while saving a lot of green on your energy bills. ​The outer layer (aluminum foil) also has the advantages like reflecting light and heat and preventing the damages caused by ultraviolet radiation. According to INSULATION report , Our Sun for example , can heat a roof to temperature as hot as 65°C . Even light coloured wall can be heated to as hot as 55 °C. In an uninsulated house , as much as 40% of this heat can penetrate through the ceiling alone . 6 ) Fireproof and smoke resistant , It’s water and leak proof, anti-flaming ( flame proof means Anti flame-SPREAD and the smoke density is very low , no hazardous materials produce ) , easy to be processed and installed. It’s durable in use and endurable to heat , cold and chemical reaction etc. 7 ) Corrosion resistant , Excellent chemical resistant and anti aging . 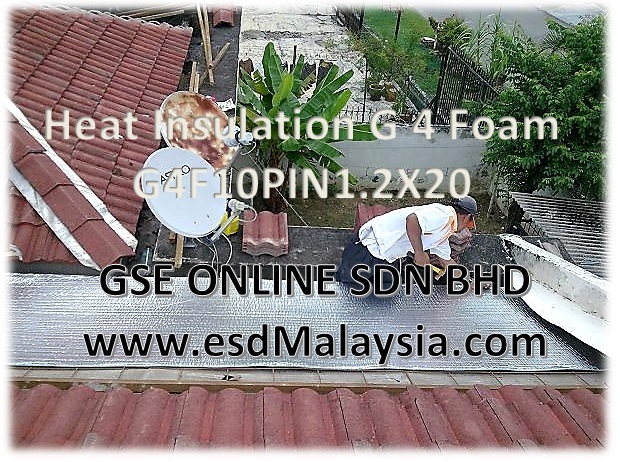 ​(2) Prevent condensation build up & ( reduces ) Heat Penetration through the product. ​with volumn density up to 28kg/m³, heat insulate performance higher as compare to the Aluminium bubble foil without XPE foam in the market , overall EXTRUDED thickness as THICK as 10 mm before lamination . ​It stops > 95% radiant heat and bulk to protect against convection heat , multi- layers of obstruction material. It is an environment friendly product which has good heat preservation and insulation properties. ​Each layer of the product has good function on abrasion and tearing resistance. 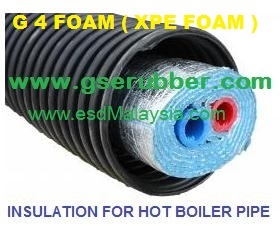 ​The middle layer ( XPE Foam ) shows strong ability in moisture barrier, oxygen reduction and sound insulation. 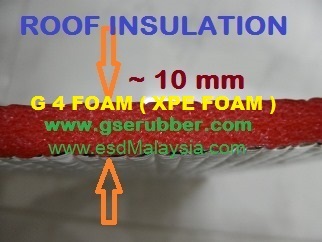 ​1) Our GS Foam is a cross linked, extruded, expanded cellular polyethylene foam . ​2) GS Foam has innumerable tiny closed cells, which have very fine and uniform structure Our GS Foam offer overall thickness of ~ 10 mm extruded thickness . 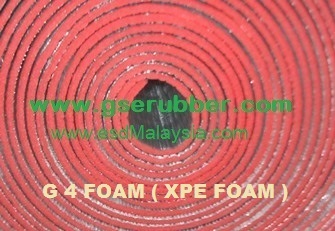 ​3) GS Foam is a very versatile and a unique product by its valuable characteristics.